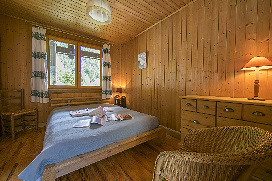 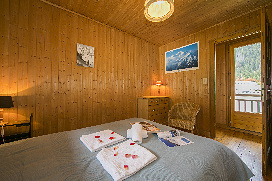 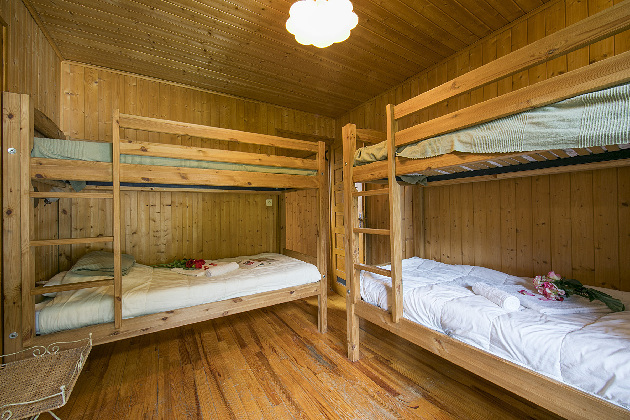 Check-in to a fully-equipped family chalet just 5 minutes’ walk from the resort’s buzzing centre! 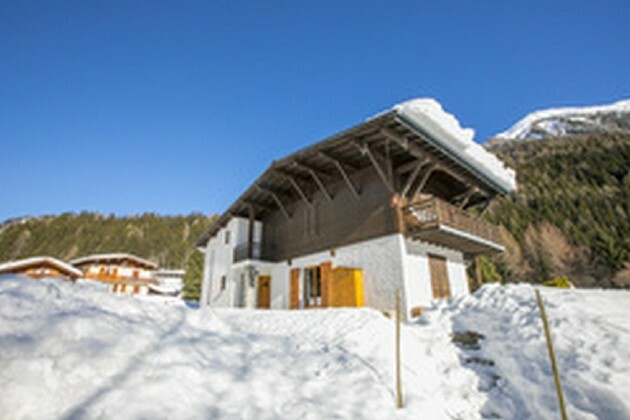 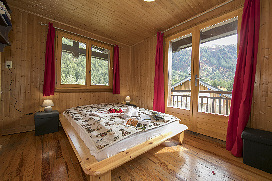 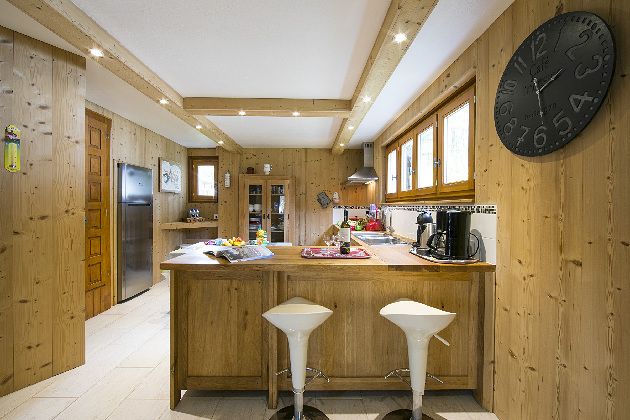 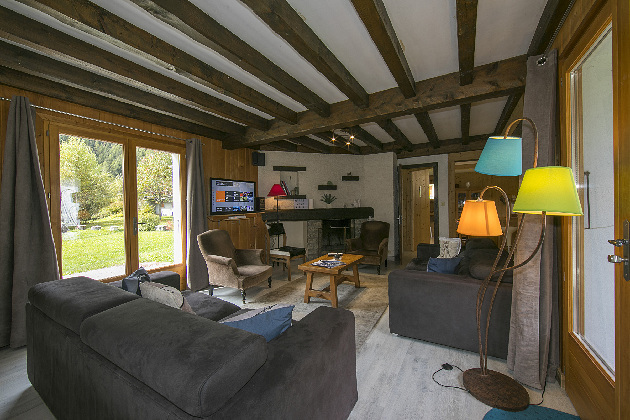 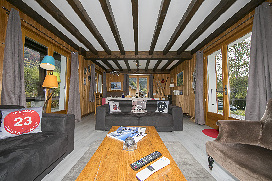 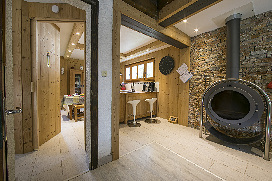 With its exposed pine wood, two ambient fireplaces, fully WiFi-enabled interior and a modernised family-friendly layout, this 2 -storey chalet provides everything groups could wish for in a carefree ski break! 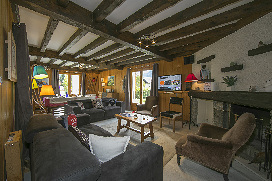 Inside, a generous Living room with beamed ceiling enjoys a breath-taking vista from the panoramic windows, alongside a TV and music stereo for carefree moments relaxing on the sofas. Perfect for year-round entertaining, the Living room leads outside to the private garden with alfresco dining set and BBQ, as well as through to a hallway with fireplace and adjoining family-friendly Kitchen Diner. The bespoke fitted Kitchen is fully-equipped for stress free meals and dinner parties. 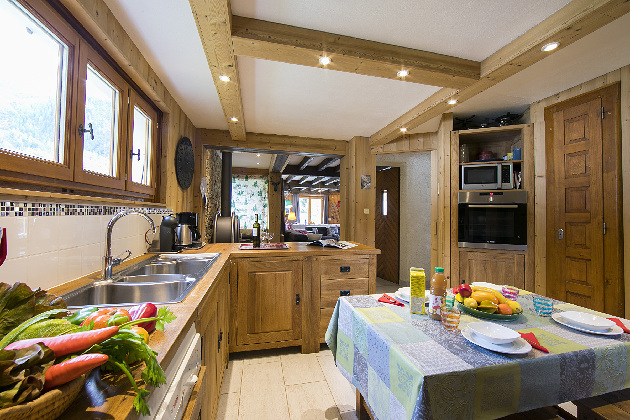 All the necessary appliances are to hand, including an induction hob, oven, microwave, electric kettle, Nespresso coffee machine, toaster, dishwasher and fridge freezer. 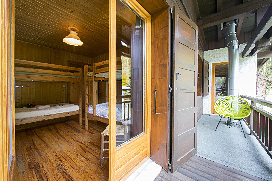 Holiday groups of 8 can also all savour a guilt-free holiday slumber, within the 4 gorgeous ambient bedrooms. The Master features balcony access and a King-size bed, whilst the 2nd Double bedroom is ideal for tranquil, romantic stays. 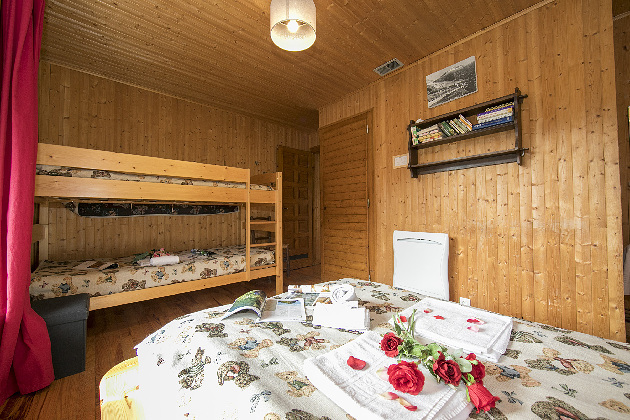 Two family bedrooms offer added versatility; in the form of one featuring a Double bed, set of bunk beds and balcony alongside another with 2 sets of Bunk beds and balcony access. 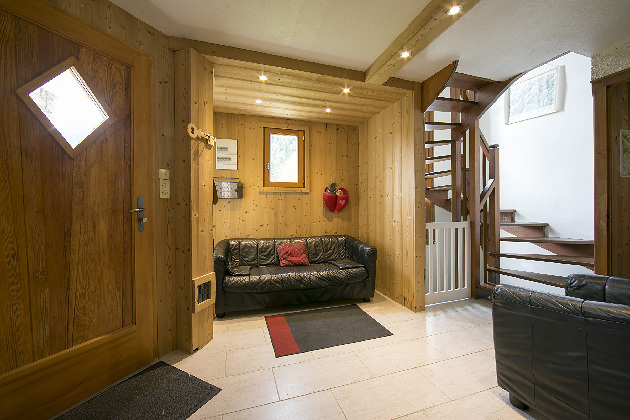 Guests are asked to note that the staircase upstairs is open tread, so unsuitable for infants and toddlers. 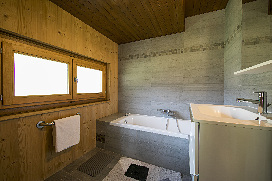 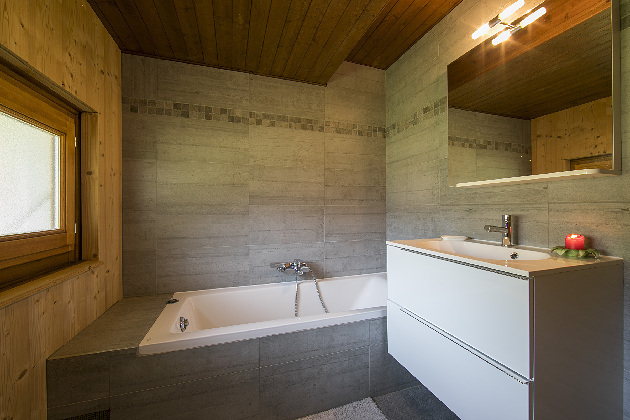 A contemporary full bathroom suite is accompanied by a Shower room and a separate cloakroom WC. The 2-storey retreat also features private laundry facilities, a sunny private garden with BBQ and a private parking space. 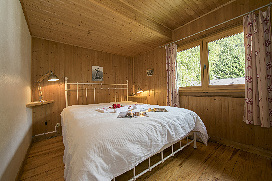 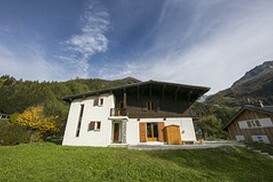 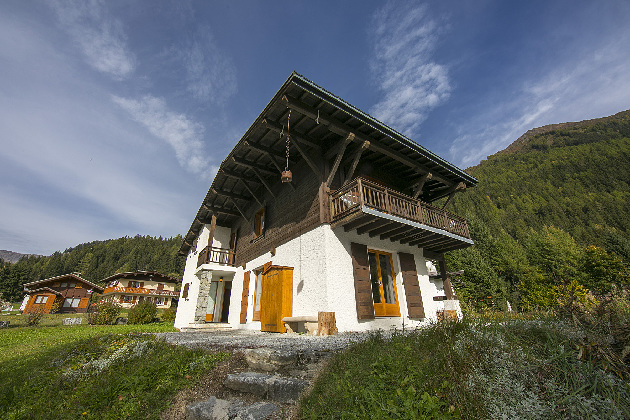 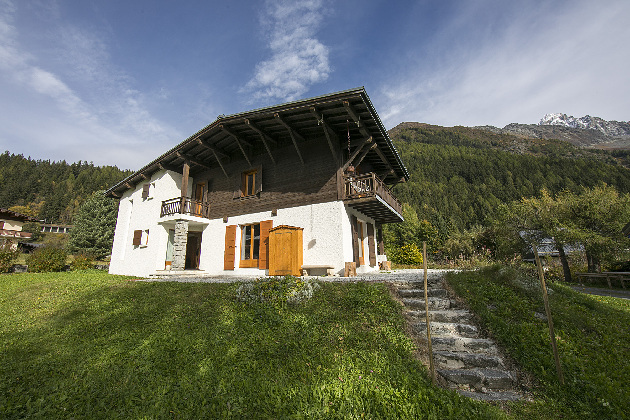 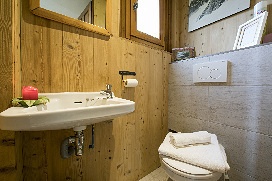 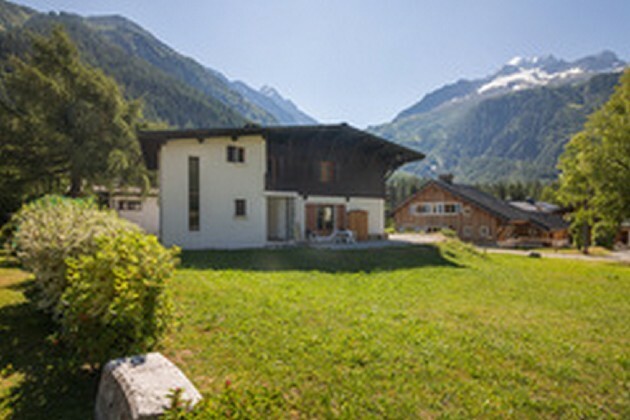 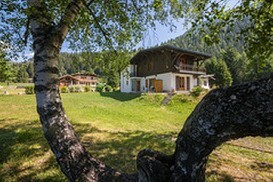 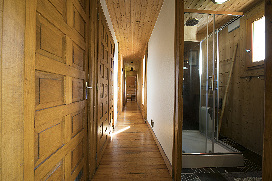 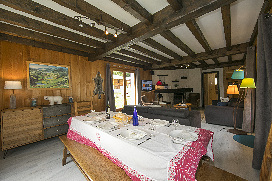 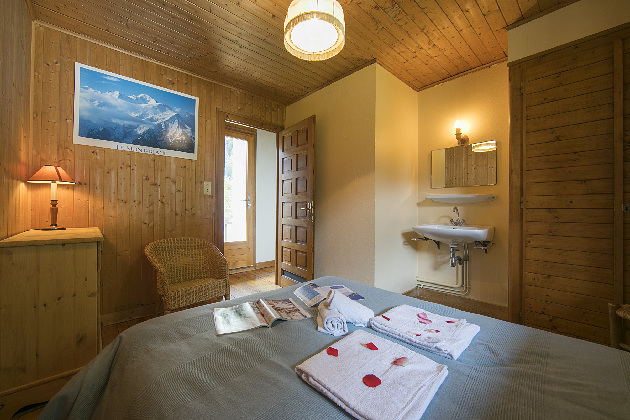 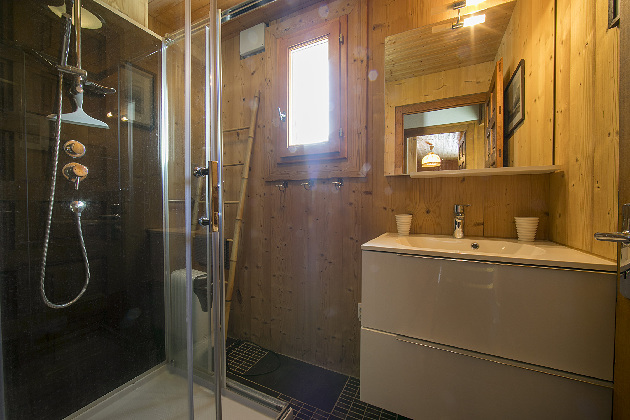 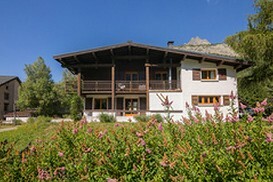 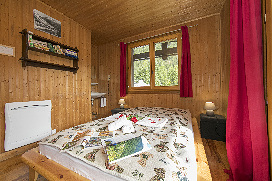 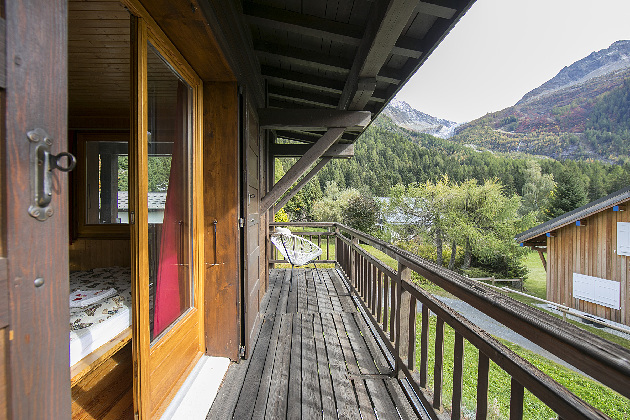 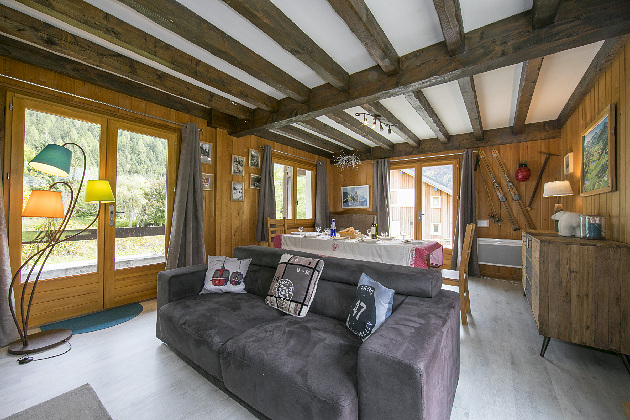 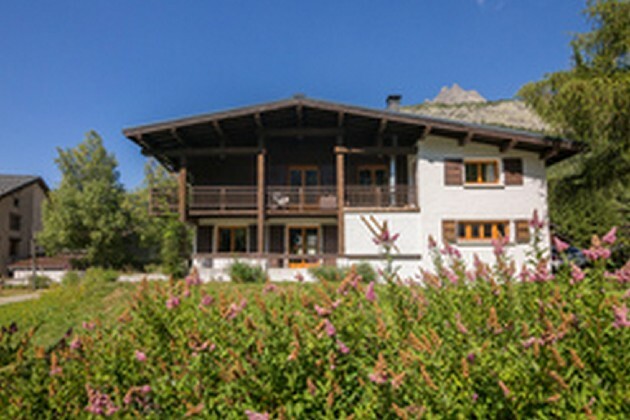 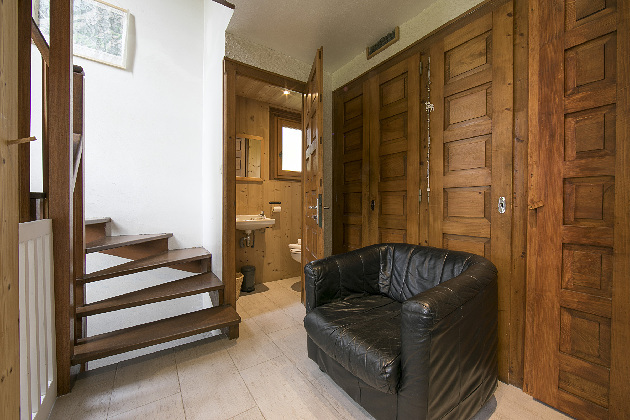 Located along ‘Chemin des Liettes’ the chalet boasts a fantastic location in the heart of Argentière. 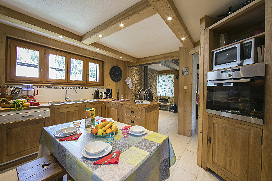 The lovely range of French-style resort eateries, bakeries, pastry shops, restaurants, grocery shops, Ski school and ski shop facilities are all within a 5 minutes’ walk away from the property. 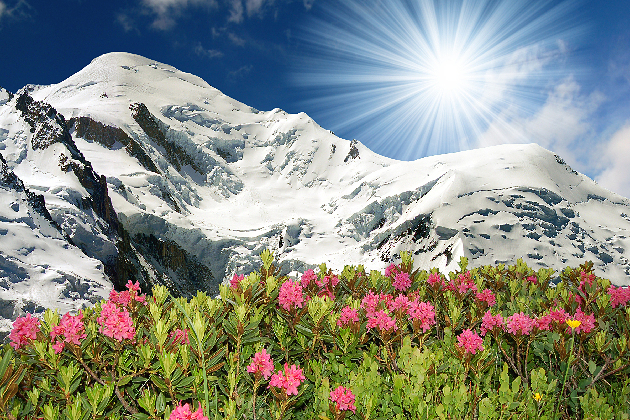 Situated 25 minutes’ drive away from Chamonix, Argentière is one of the best-loved Alpine resorts, being situated at the foot of Les Grands Montets (a vast, varied area offering a wide range of pistes and extensive powder fields for off-piste enthusiasts). 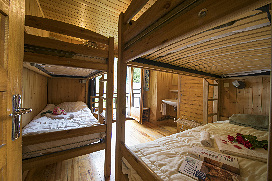 The tree-top climbing Accro Adventure Park and rock climbing crag in Lac des Gaillands are both 40 minutes’ drive away. 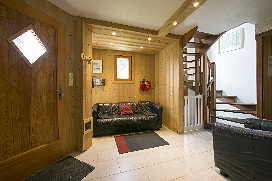 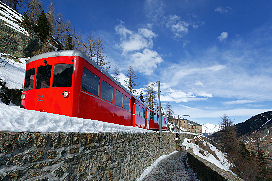 From the charming holiday location, Geneva Airport is 1 hour 27 minutes’ drive away. 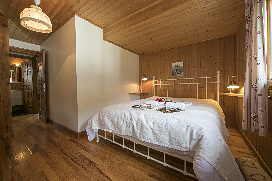 Wifi is EUR 35.00 per stay.